Is this art or design? Designed by Italian designer Claudio Silvestrin and hand crafted by Glas Italia in Italy, this ultra-modern minimal wall mirror is absolutely breathtaking. It really makes you stop for a moment in order to reflect in your mirror image. This extraordinary wall mirror would be a good fit it any contemporary interior. Its clean lines certainly do make it look like a high-end illuminated work of contemporary art. Even for those of us who do not have our own gallery space, the I Massi mirror will be a great addition. This wall mirror is created by bonding mirror glass slabs onto a wooden structure, so as to get a monolithic figure. 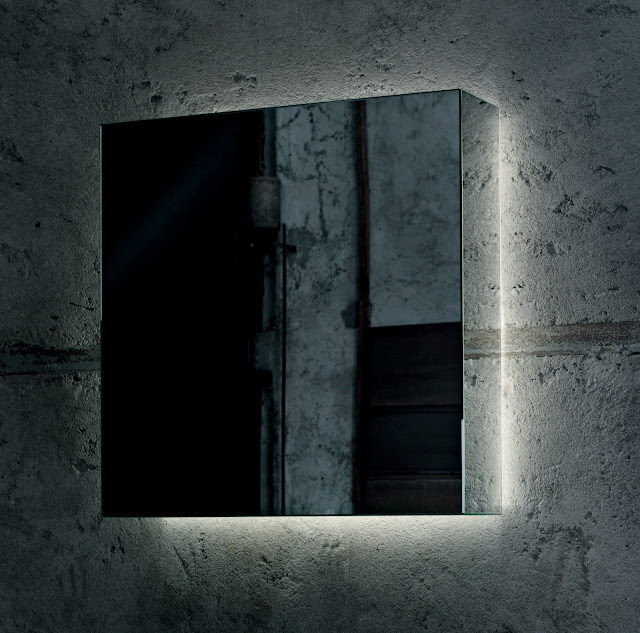 In the illuminated version with lighting installation with white or blue neon, a circle of light pours out from the back of the mirror. This wall mirror is also available without lighting. Supplied with double horizontal and vertical fixtures which allows for easy attachment to a wall.